Many dolphins around the boats swimming in groups. 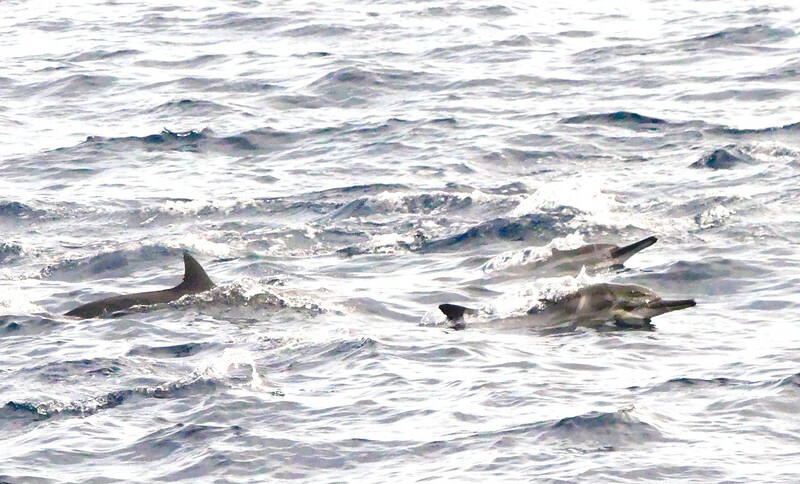 Twice saw the spinner dolphins spinning in the air. But of not quick enough to capture that.